This book addresses existing solutions for data mining, with particular emphasis on potential real-world applications. Capturing defining research on topics such as fuzzy set theory, clustering algorithms, semi-supervised clustering, modeling and managing data mining patterns, and sequence motif mining. The seven papers in this special issue focus on Mining Spatio-Temporal Data. The special issue evolved from a successful workshop organized in conjunction with the 2006 PKDD conference, but the special issue was open to the whole community. Natural Language Processing and Information Systems, NLDB 2014, Montpellier, France, June 18-20, 2014. Proceedings. Maguelonne Teisseire received a Ph.D. degree in Computing Science from the Méditerranée University, France, in 1994. Her research interests focused on behavioral modeling and design. In 1995- 2008, she was an Assistant Professor of Computer Science and Engineering in Montpellier II University and Polytech’Montpellier, France. She headed the Data Mining Group at the LIRMM Laboratory Lab, Montpellier, France, from 2000 to 2008. 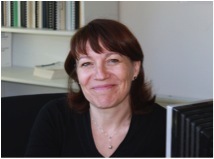 She is currently a Research Professor - Irstea and she joined the TETIS lab in March 2009. Her research interest focus on advanced data mining approaches when considering that data are time ordered. Particularly, she is interested in text mining and sequential patterns. Her research takes part on different projects supported by either National Government (RNTL) or regional project. She has published numerous papers in refereed journals and conferences either on behavioral modeling or data mining. Thesis: " French Biomedical Ontology Enrichment"
Thesis: " Partially Ordered Patterns, Application to Hydrobiological Data"
Thesis: " Spatio-temporal Sequential Pattern Mining"
Thesis: "Etude probabiliste et statistique des grandes bases de données"
Thesis: "Recherche de motifs graduels et application aux données médicales"
Thesis: "Les motifs séquentiels pour les puces ADN"
Thesis: "Extraction de Motifs Séquentiels Dans des Données Multidimensionnelles"
Thesis: "Extraction de séquences fréquentes : des données numériques aux valeurs manquantes"
Thesis: "Recherche de sous-structures arborescentes ordonnées fréquentes au sein de bases de données semi-structurées"
Thesis: " Catégorisation Automatique de Documents Textuels : D'une Représentation Basée sur les Concepts aux Motifs Séquentiels "
Thesis: "Données semi structurées : découverte, maintenance et analyse de tendances"
Thesis: "Algorithmes et applications pour l’extraction de motifs séquentiels dans le domaine de la fouille de données : de l’incrémental au temps réel"
Topics: sequential patterns, web mining, incremental mining, real time mining. Métais E., Roche M., Teisseire M. (Eds) Lecture Notes in Computer Science (LNCS), Springer Verlag, Vol. 8455, 268 pages, 2014. 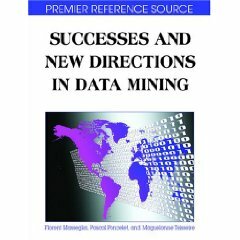 "Successes and New Directions in Data Mining" (with P. Poncelet, LGI2P, Nîmes and F. Masseglia, Inria, Sophia Antipolis) Information Science Reference, ISBN-13: 978-1599046457, ISBN-10: 1599046458 (2008). 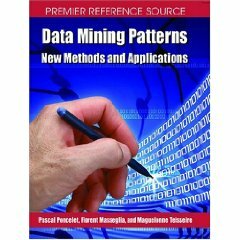 "Data Mining Patterns: New Methods and Applications" (with P. Poncelet, LGI2P, Nîmes and F. Masseglia, Inria, Sophia Antipolis) Information Science Reference, ISBN-13: 978-1599041629, ISBN-10: 1599041626 (October 2007). Reviewer: IEEE Transactions on Geoscience and Remote Sensing, Pattern Recognition Letters, IEEE Transactions on Knowledge and Data Engineering, IEEE Transactions on Fuzzy Systems, Journal of Intelligent Information Systems (JIIS), Information Sciences (Elsevier), Data & Knowledge Engineering (DKE) Journal, Revue d’Intelligence Artificielle (RIA), TSI (Techniques et Sciences Informatique), édition HERMES, Object-Oriented Information Systems (OOIS'03) - LNCS, Very Large Databases (VLDB'99), Database and Expert Systems Applications (DEXA'97) - LNCS, Advanced Information Systems Engineering (CAiSE'97) - LNCS, Entity/Relationship (ER'95) – LNCS, FLAIRS 2005, SAC 2005. Head of Data Mining Group at LIRMM (2000 – 2008).